The last stretch of Convention season is afoot! 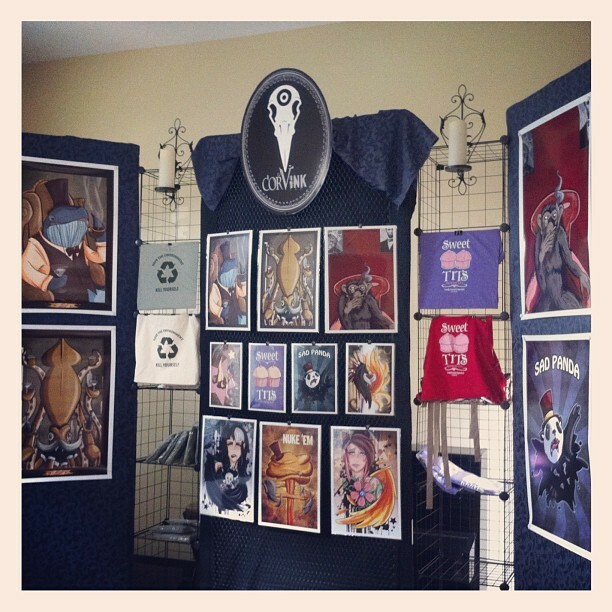 There are two more conventions that I will be exhibiting at in 2012. 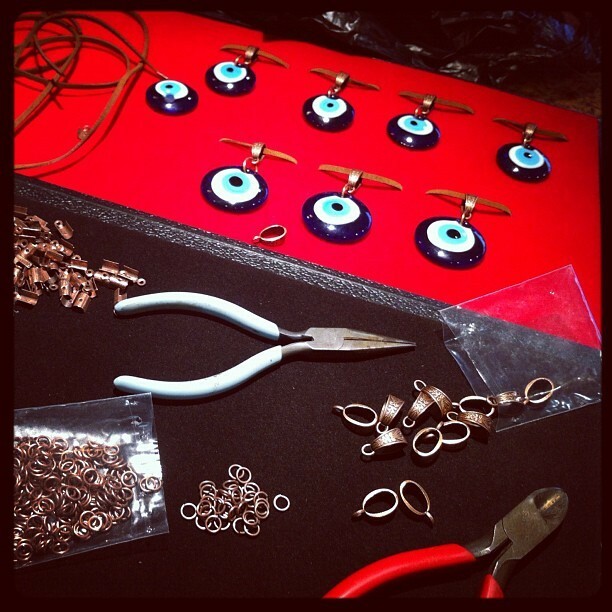 Comikaze on Sept.15-16 in Los Angeles California and Designer Con on November 3rd in Pasadena California. Unfortunately I wasn’t able to get a hold of Comikaze in time to get them to change the name I’m exhibiting under, so if you’re looking for me in the program, I’ll be listed as L.A.W.L.S. still. Designer Con on the other hand has changed the information for me. In both cases I still don’t know my booth numbers though. SO I’ll keep you posted on that! You can always check the Appearances Page for a full list of conventions I will be at, with updates on table locations and all that as the cons get closer to their dates. The word on the heart “Սէր,” is the Armenian word for “Love,” which is what the piece is named after. Anyway, it is now available at the store and you can buy one Here! I finished this print just last night and did some color test prints today through my printers. So far I’m incredibly pleased by the way they turned out! 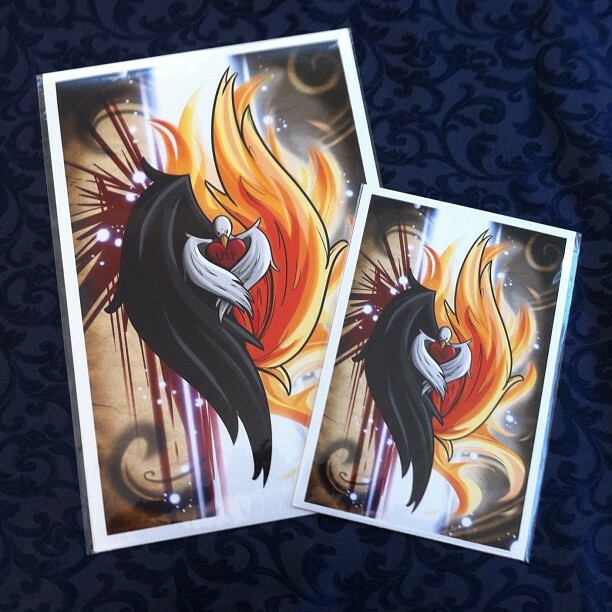 The colors are very nice and I think they will look great on my convention displays and on peoples walls. Unfortunately because I will be going on a trip first thing next week, I wont have time to do a full production run of these and made the decision to release them when I return so that there are no complications or delays on order shipments. 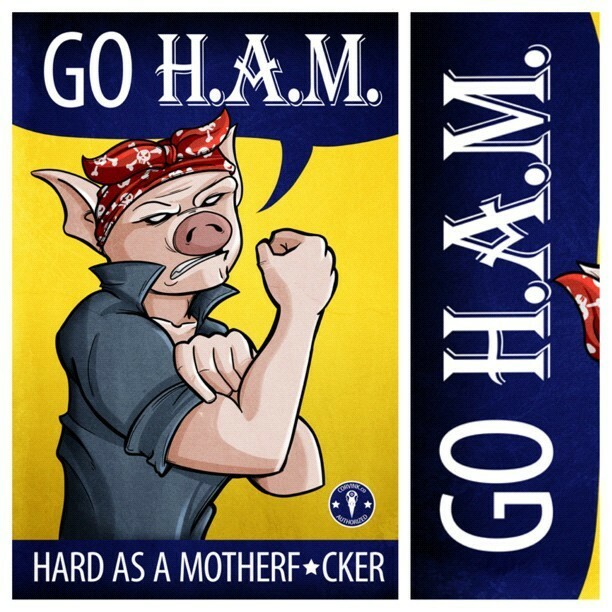 For those of you who are curious what “GO H.A.M.” even means, it is a reference to a Kayne West / Jay-Z song entitled “H.A.M.” which is one of the most ridiculous concepts to me. To further it’s absurdity I decided to make it into a parody of the classic ”Rosie the Riveter” (aka “We Can Do It!”) Print, just for fun. Honestly though, don’t even ask me where the concept came from beyond that. I was just in a silly mood at the gym when that song came on and the concept popped into my head. Since it made ME laugh, I figured it would make someone else laugh too! I’ll keep you guys posted on it’s release via one of my social networks. I’m really excited about releasing these. This is something I’ve wanted to do ever since I started Anhedonia Blue. The reason for the delay on release of this is mainly due to the fact that because they are handmade they take some time to make. I wan’t to be able to have a full stock on hand for Comikaze next month (there are 18 total right now), so I decided it would be best to hold off till after that convention to release them online. After that show is over I’ll get anything that is left online the week after September 16th. Depending on demand at the show and online after the fact, I’ll be able to better access whether they are worth their time in production or not. They don’t have a set price just yet as I’ve been doing research on similar product pricing, but I do know that they will be priced slightly different based on the size of the pendant. It may be hard to tell from the photo, but there are actually two different sizes available (I’ll have to remeasure the pendants themselves before I can give you a set size). There is a smaller one and a slightly larger one for those who want the eye to be more pronounced. The lace itself is 18inches long. Again, Follow Corvink on the various social networks and I will post updates on their release ASAP.